Painting has always been an integral part of the human psyche, beginning with the time of the first cave paintings to today’s times, when there are innumerable painting techniques that artists can dabble in. Painting has always proved to be a powerful medium through which the artist expresses his innermost feelings. At King Art Studio we offer you that special medium that can serve as an outlet for your creativity. There have been many masters over the centuries and most of us are familiar with some awesome masterpieces that have survived the test of time. Each of them developed their own painting techniques that are recognizable as their signatures. One glance at a work of art and the experienced eye can instantly identify its creator. We believe that each of us has that masterpiece inside that only needs the right encouragement to emerge. And that’s what we do at the King Art Studio. 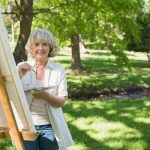 When you enroll with our Henderson art classes, our owner and top artist, Sarah Tiffany King will introduce you the technique that is best suited to your level of understanding of art. As your skills progress, she will bring in more advanced styles that match your special talents. Being a natural artist herself, she can recognize the hidden artist in you and direct you to maximize your progress. 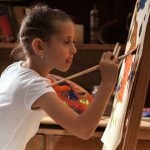 But studying art is not just about learning techniques, it is a comprehensive learning experience where you will also understand the evolution of the particular style you’re studying. Learn about its history, and the master who first used it and where. Immerse yourself in the fascinating world of art where only colors and your imagination rule. History whispers to you as you wield the paint brush over the canvas and you might even feel the hand of the master who inspires you guiding you. As you paint, understand the different mediums that have been used over time and how they were created out of the materials the artists had available. Also discover the incredible diversity of surfaces you can paint. Marvel at the ingenuity of man and the evolution of painting on rock cave walls to canvas, gold leaf, cloth, plaster, sand, paper and any kind of object that caught the artist’s eye and imagination. The art classes you take with King Art Studio are more than just explorations of the self, they are your portal to a mesmerizing realm of history and beauty. Sign up with us today and discover it with us.